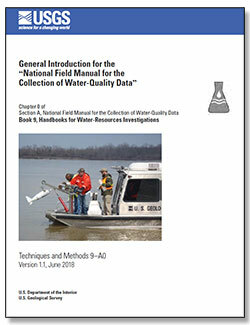 The National Water Quality Program provides an understanding of water-quality conditions; whether conditions are getting better or worse over time; and how natural features and human activities affect those conditions. 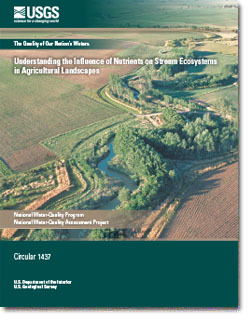 Intensive studies in agricultural areas provide insight into how agricultural activities have altered water flow and chemical transport and how nutrients affect algal and invertebrate communities in agricultural streams. The topic of pharmaceuticals and hormones in drinking water gets people’s attention, but if that drinking water is pumped from a well, those chemicals are less likely to be present, according to a new national study by the U.S. Geological Survey and published in the journal Environmental Science and Technology. 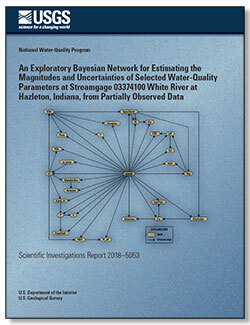 Holtschlag, D.J., 2018, An exploratory Bayesian network for estimating the magnitudes and uncertainties of selected water-quality parameters at streamgage 03374100 White River at Hazleton, Indiana, from partially observed data: U.S. Geological Survey Scientific Investigations Report 2018–5053, 30 p., https://doi.org/10.3133/sir20185053. Munn, Mark D.; Frey, Jeffrey W.; Tesoriero, Anthony J.; Black, Robert W.; Duff, John H.; Lee, Kathy E.; Maret, Terry R.; Mebane, Christopher A.; Waite, Ian R.; Zelt, Ronald B.
Munn, M.D., Frey, J.W., Tesoriero, A.J., Black, R.W., Duff, J.H., Lee, Kathy, Maret, T.R., Mebane, C.A., Waite, I.R., and Zelt, R.B., 2018, Understanding the influence of nutrients on stream ecosystems in agricultural landscapes: U.S. Geological Survey Circular 1437, 80 p., https://doi.org/10.3133/cir1437.